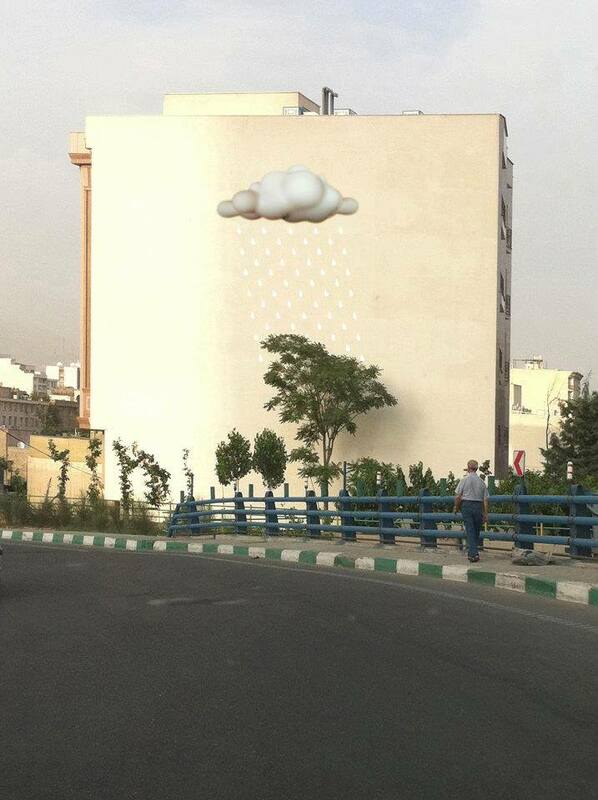 Iranian Artist Medhi Ghadyanloov is on a quest to give Tehran a facelift, one building wall at a time. 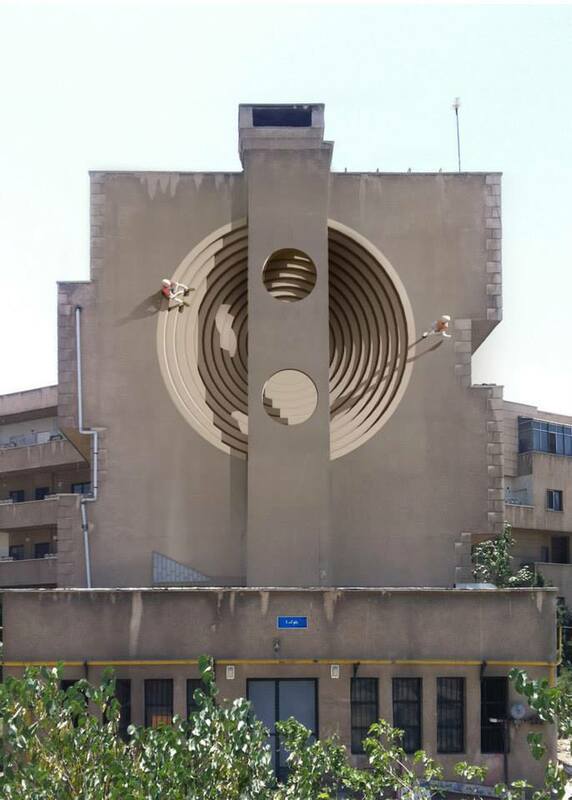 The 33 year-old street artist grew tired of all the mural work in his home city dealing with the revolution or the Iran-Iraq war, so, through the help and inspiration of his university professor, found out how he could change that, he tells Young Persian Artists. 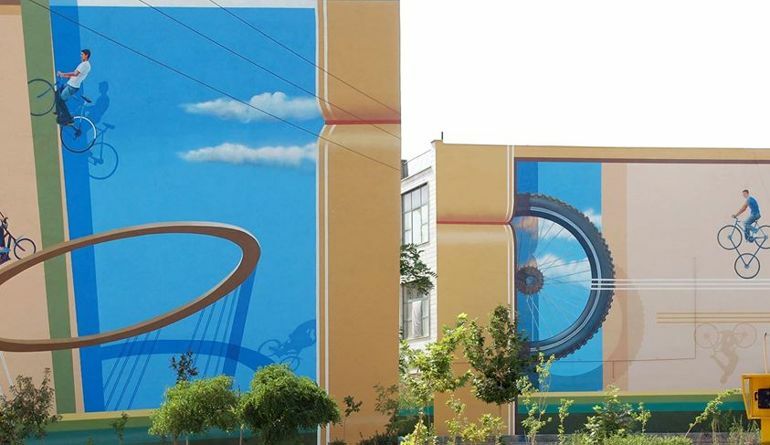 He has now been working on mural projects for a few years. 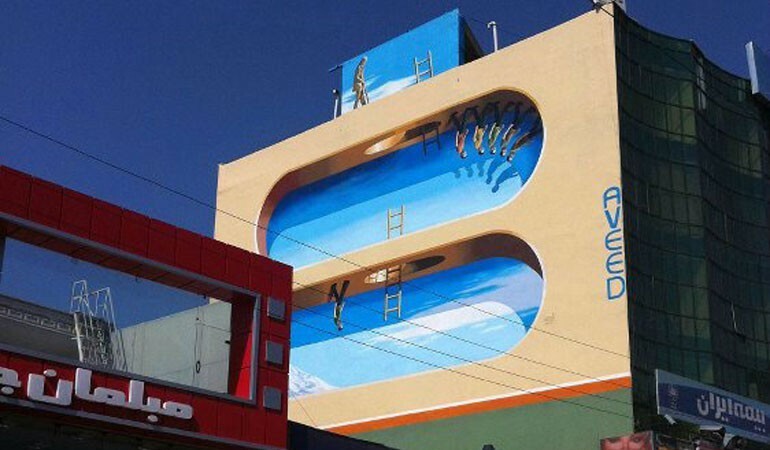 The murals are often 3D illustrations of surreal or absurdist scenes, that work in massive contrast to the vast expanse of plain walls around them. 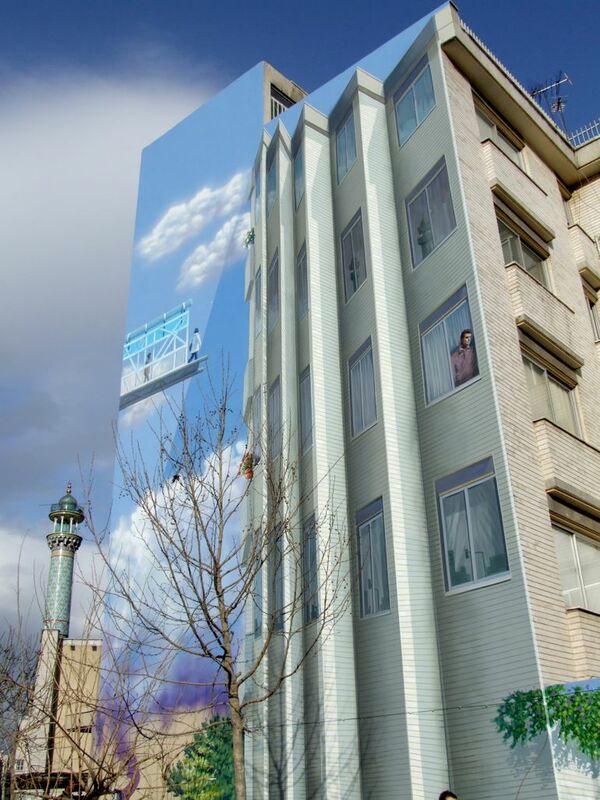 Medhi’s paintings are supported by a local fund that was specifically set up to help uplift the view of Tehran’s streets. Yes. In fact most of my large-scale work is financed by the municipality. 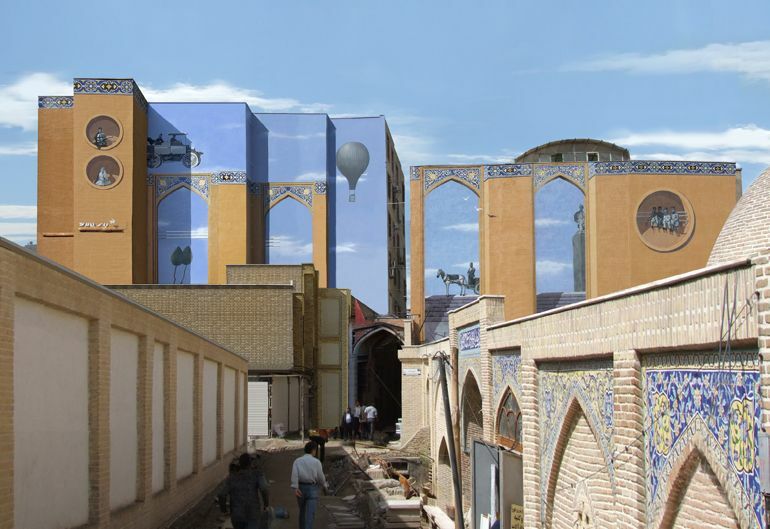 Some 8 years ago, the municipality set up a committee to help promote mural art in Tehran. The city is an architectural mishmash with buildings often having only one facade and the other three just left blank and grey. This doesn’t make for a beautiful city but it is a great environment for mural work. I think the municipality really felt the need to bring some cohesion or at least colour to the often confused and smog-smeared architectural face of the city. Read more about the Galleri GEO exhibition.